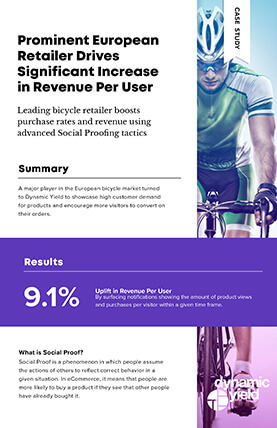 This case study will show you how a leading European online retailer converted more visitors into shoppers using Dynamic Yield’s Social Proof messaging. Display real-time product data messages to increase purchase rates and revenue. Continuously A/B test messages to find the variation that would drive the most purchases.